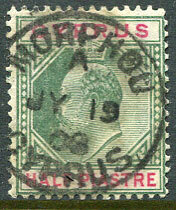 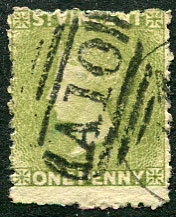 (T.1, D3) B/23 FE 87 with m/script initials on QV 1/- deep green CC wmk P.14 (SG.39, Cat.£50). 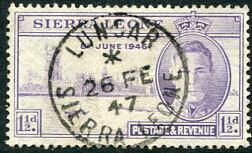 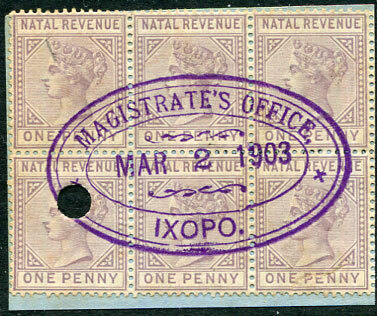 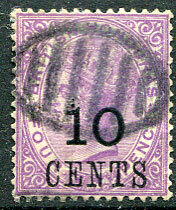 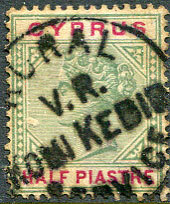 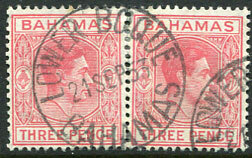 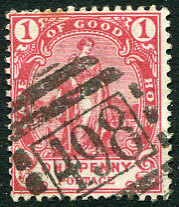 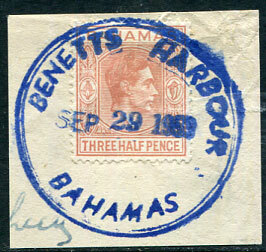 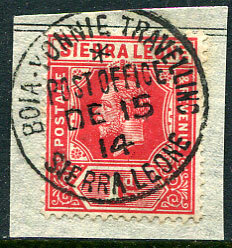 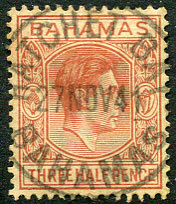 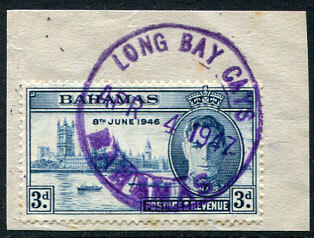 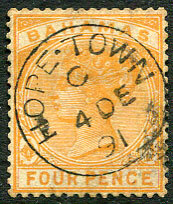 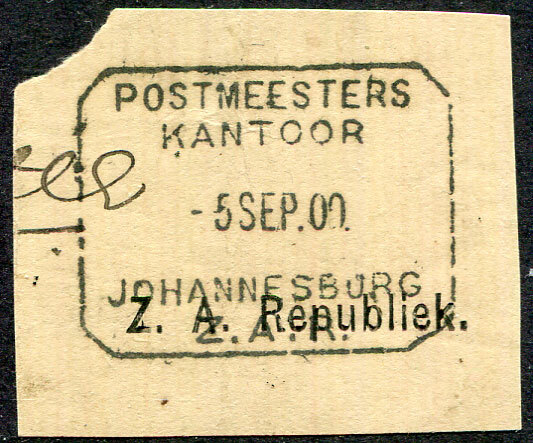 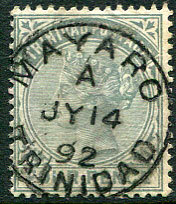 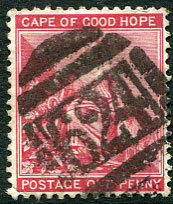 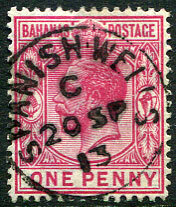 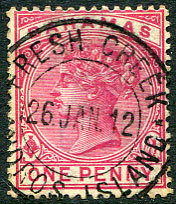 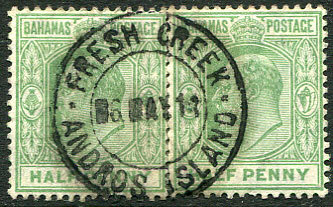 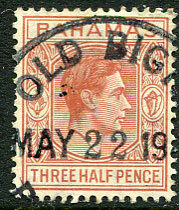 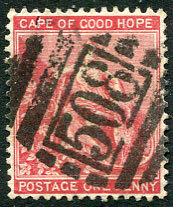 (T.21) on QV ½pi (SG.40), a little aged in appearance. 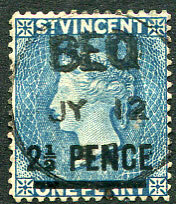 (166.01) */JY 7 30 on KGV 1d (SG.132a) piece. 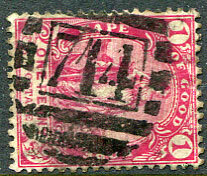 (T.2) A/JY 19 08 on KE7 ½pi (SG.62). 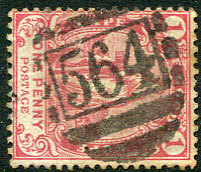 on KG6 ¼pi (SG.151) piece. 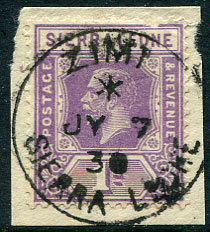 fiscal cancel on 1898 QV 6d (SG.30), full perfs. 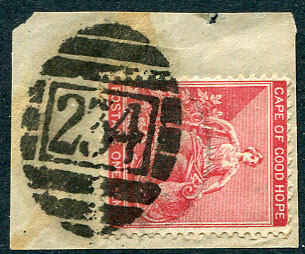 (066.01) C/AU 17 99 on envelope cut-out piece, very rare office. 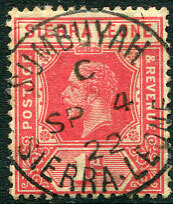 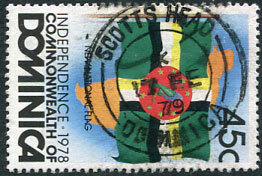 Illustrated Page 49 of "The Postmarks of Sierra Leone 1854-1961 Second Edition" by Walton, Quirk, Hamilton, Horry. 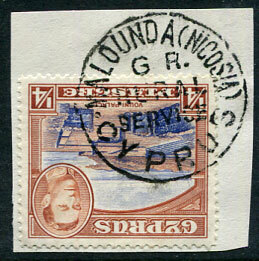 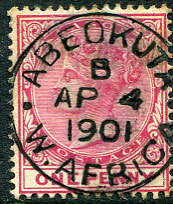 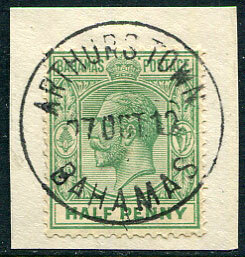 (062.01) A/16 FE 00 (ERD), a magnificent strike on seemingly envelope cut-out piece. 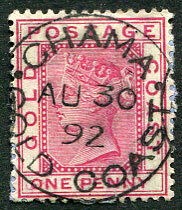 (T.2, tall & narrow letters) C/OC 9 89 on QV 3d (SG.15). 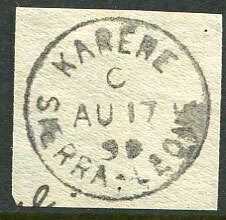 (T5 smaller letters, round "O" in COASR) AU 30 92 on QV 1d (SG.12a). 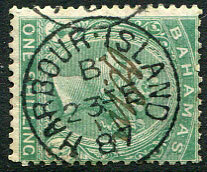 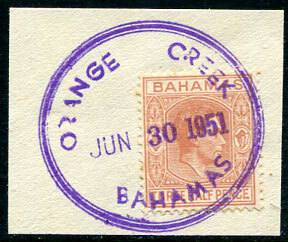 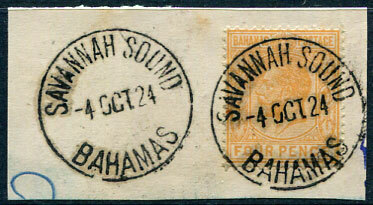 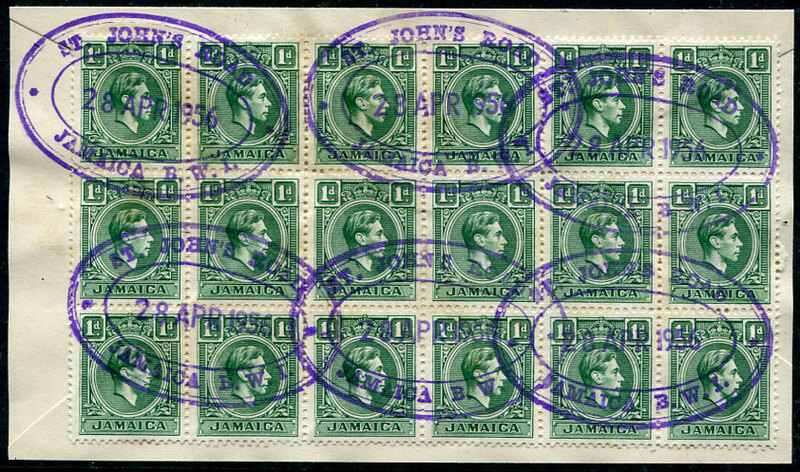 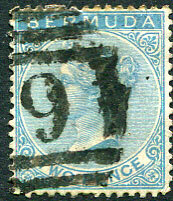 (T.2) dated C/JY 4 9 ("9" for year) on QV 1d (SG.12a). 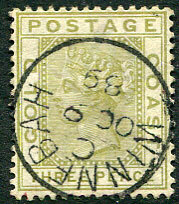 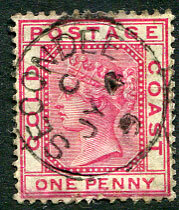 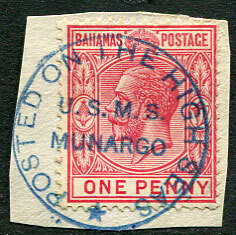 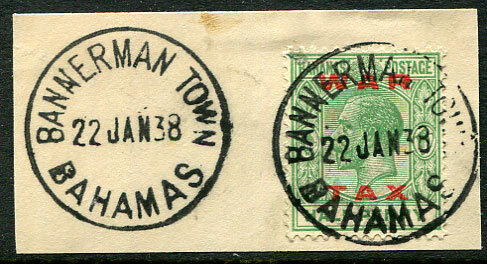 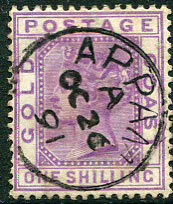 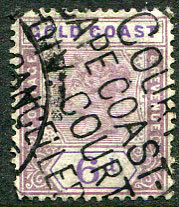 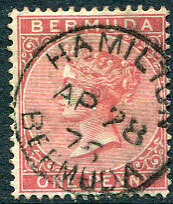 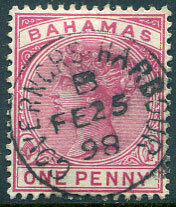 (T.2, wide "M") A/OC 26 91 on QV 1/- (SG.18), rarely found especially with "A" code. 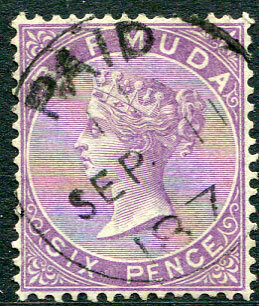 (H2) with usual light but clear code part dated 11/SEP 11 187x on 1874 QV 6d dull mauve Crown CC wmk (SG.7). 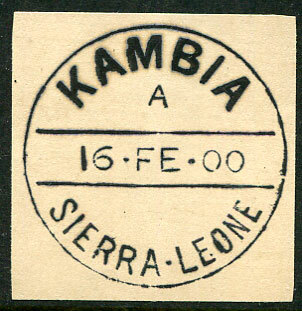 It would seem the K1 "11" had a limited use or life and adhesives were cancelled by the H2 cds but no fully dated examples are recorded (so actual years of use not known).